Bring an element of fun to your website. Interactive games have been proven to be highly effective tools for learning, reinforcing learning, and even assessing learning. Our interactive games have clearly defined learning objectives and are developed to meet those objectives. Kids will come to your website to play the games, and stay to learn. We can customize one of our games to your interests, or we can make something completely new, just for you. 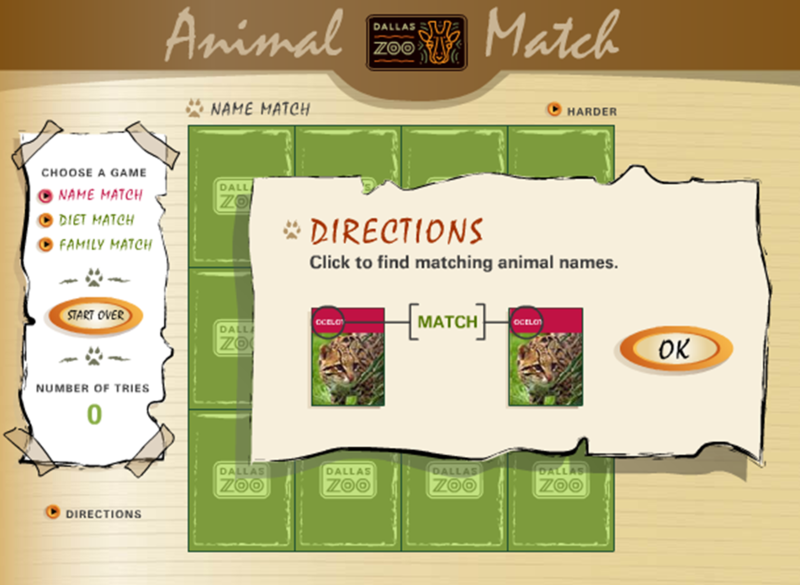 Race against the clock to match animal names, animals, diets, or any other match that suits your specialty. Play alone or race your friends! 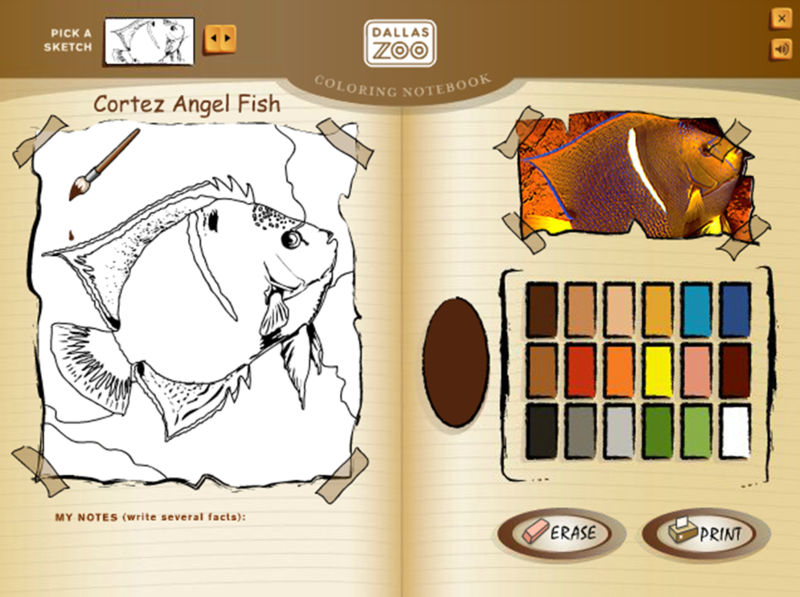 Create a natural masterpiece with this online coloring book. Print or email it when you’re done. 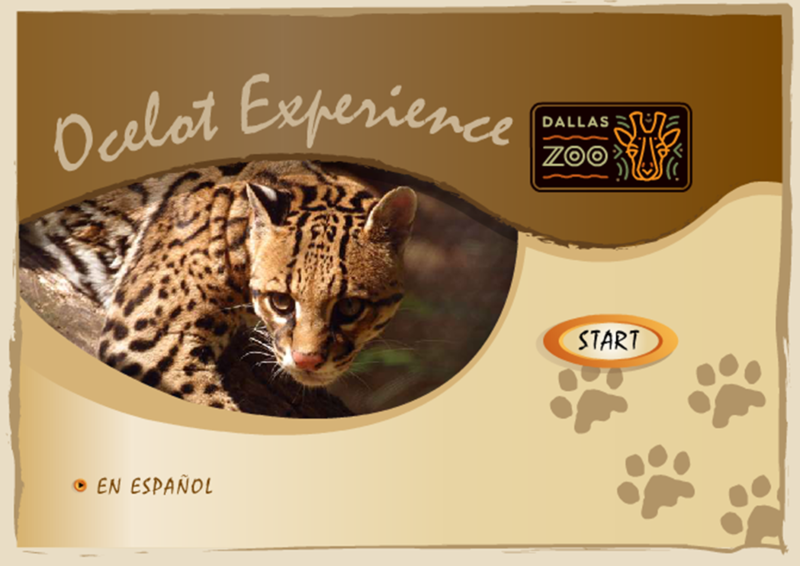 Join biologist Arturo Caso on a virtual research expedition to study a rare and beautiful cat.